Raspberry Pi NB-IoT Shield together with the Witty Pi 2? Home Page › Forums › Raspberry Pi Shields › Raspberry Pi NB-IoT Shield together with the Witty Pi 2? This topic contains 10 replies, has 4 voices, and was last updated by Metin 6 months, 3 weeks ago. I have the raspberry pi NB-IoT shield, and it works great! Now i want to make a “sandwich” with a raspberry pi 3 model b, the NB-IoT shield and the witty pi 2. The NB-IoT shield uses pin #7 for “1-Wire” while Witty pi 2 uses it to “detect the switching off signal”. 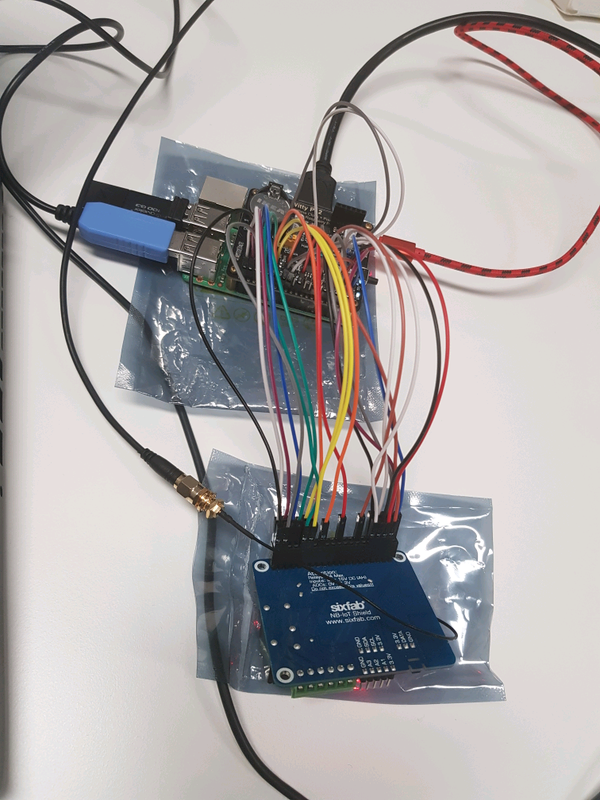 It is possible to change the pin that the Witty pi 2 uses for this, but the guide they made does not work for me, and i’d rather not solder wires on the shields if i don’t have to. 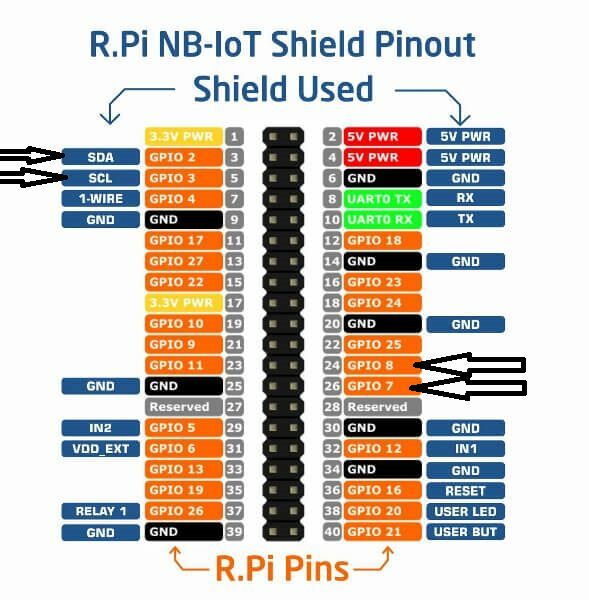 So, my question is, can the NB-IoT shield and Witty pi 2 work together sharing pin #7? Normally no sensors are connected to pin7. There are only pull-up resistor. When I look at Witty-Pi, it has to go low to use this pin. In this case, I think you can use it directly like sandwich without making any changes. But I can not give a guarantee because it is not open schematics. The best way is to try. I changed the Witty Pi 2 pins used for “detect the switching off signal” and LED (GPIO 7 and 8) so that only the GPIO pin between the sixfab NB-IoT and Witty Pi 2 shields. But all the other tests for the Relay, LED, Lux, Temperature, Humidity etc. works just fine! Hello Turbolego, really sorry for delay. Photos do not appear. Please reload. Is imgur blocked in your location? Reposting previous post with correct picture url because i got &quot;rate limited&quot; while editing the last post. 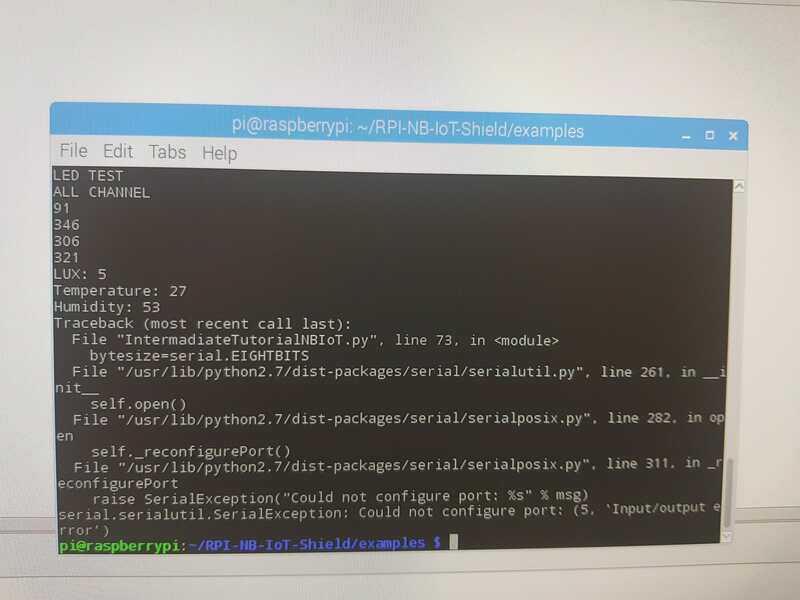 port=’/dev/ttyS0′ which might not remain the same when witty pi 2 is connected to your R.Pi. Please crosscheck the port after making all connections. Could this be the issue that is preventing the Sixfab NB-IoT shield from using ttyS0? Can i change from port=’/dev/ttyS0′ to port =’/dev/ttyAMA0′? Do you have disabled the getty service? To do so please follow step 8-12 from https://sixfab.com/getting-started-with-sixfab-raspberry-pi-nb-iot-shield/. This reply was modified 6 months, 3 weeks ago by Metin. How do i check the port?